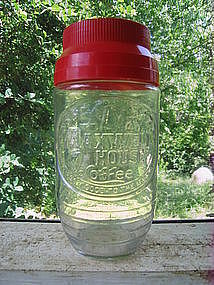 Vintage coffee jar. Minor aging to the plastic lid. I need your zip code to calculate the postage. 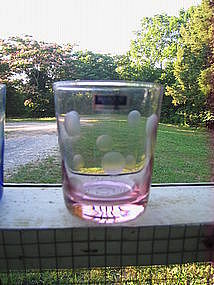 15 ounce 4 1/2 inch double old fashioned glass. Unused condition with original label. Turquoise,amethyst and blue also available and priced individually. I need your zip code to calculate the postage. 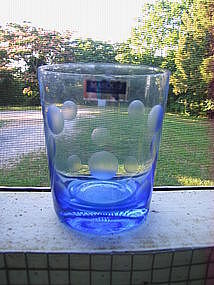 Blue double old fashion which holds approximately 15 ounces and measures 4 1/2 inches in height. It is in an unused condition with original sticker. The pink, amethyst and turquoise are also available and priced individually. I need your zip code to calculate the postage. 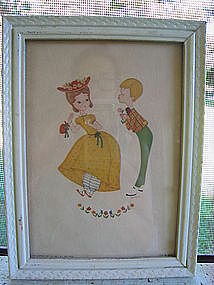 Donald Art print dated 1957 and signed Gloria. It measures 7 x 5 inches. Minor wear to the wooden frame. Do not mistake the reflection in the glass as damage. 2 other prints of the series are available and priced individually. I need your zip code to calculate the postage. 1957 Donald Art print signed Gloria. It is 5 x 7 inches. Minor wear to the wooden frame. There is a reflection of the background to the print, which should not be considered as damage. 2 other prints of the series are available and priced individually. I need your zip code to calculate the postage. 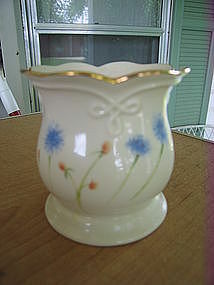 Vintage toothpick holder with no manufacturing information. It is approximately 2 inches in height. There is no damage. I need your zip code to calculate the postage. 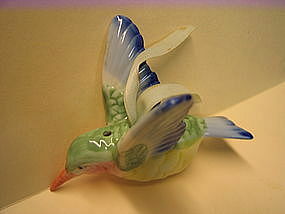 Vintage porcelain hummingbird pomander. It has the original stopper. The Takahashi made in Japan foil label is on the bottom. It is approximately 4 1/2 inches in length. There is no damage. I need your zip code to calculate the postage. 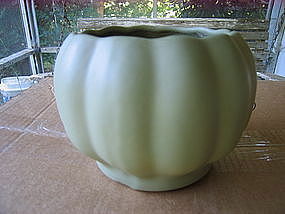 One quart round casserole with lid. There are no chips, cracks, breaks or rough rims. Very minor wear to the finish. 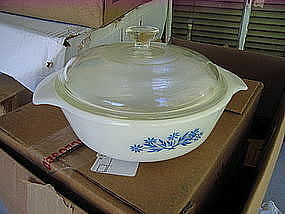 I have an oval casserole in the same pattern available for purchase. I need your zip code to calculate the postage. This particular stars and bars pattern was sold by Home Interiors. There is no damage. 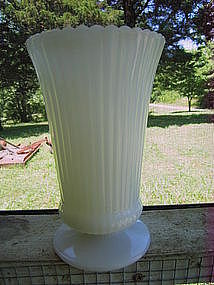 I have other Indiana Glass fairy/angel/vigil lights available for purchase. I need your zip code to calculate the postage. It is marked E. O. Brody, Cleveland, Ohio. 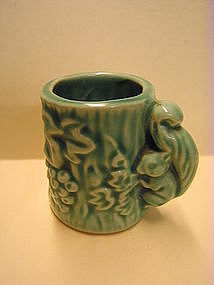 It is 8 1/2 inches in height. Little to no sign of use. I need your zip code to calculate the postage. 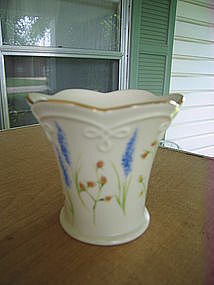 This vase is not marked, but could be Brody. It is 6 1/2 inches in height. Little to no sign of use. Several are available. I need your zip code to calculate the postage. 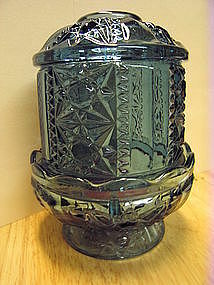 It is incised 335. The interior has some lime deposits which I've not tried to remove. Additional photos or info by email. I need your zip code to calculate the postage. When I bought this, I had no idea these were real butterflies. It disturbed me so much, that I packed it away for many years. It is a vintage piece, but not sure of the age. 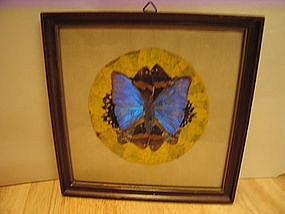 It appears that several butterflies were used to create the backdrop for the blue butterfly. 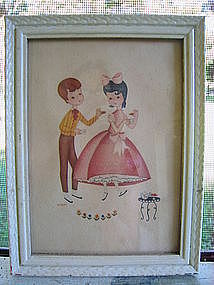 The frame measures 7 1/2 x 7 1/2 inches. The wooden frame has some superficial paint loss. I need your zip code to calculate the postage. Very hard to describe this item. It was manufactured in Japan. It measures 5 3/4 x 3 3/4 inches. 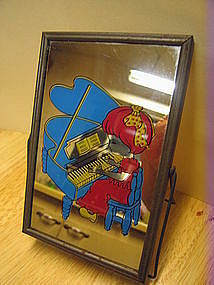 The metal frame has darkened with age. Minor paint loss and small ding to the back cover. There is a lot of glare and should not be considered damage. I need your zip code to calculate the postage. It measures 7 inches in height. It was manufactured in India. 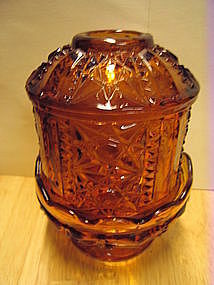 It has never been polished and shows areas of oxidation. Two are available and priced individually. I need your zip code to calculate the postage. 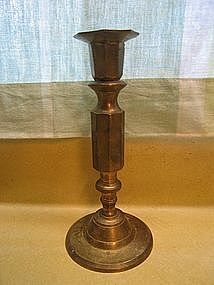 There is no sign of use to the candle holder. 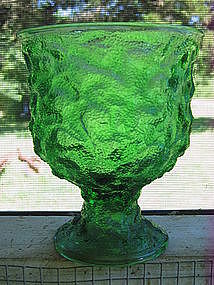 Additional pieces of the original grouping are available and priced individually. I need your zip code to calculate the postage. There is no damage to this piece. There are other pieces of this grouping available for purchase. I need your zip code to calculate the postage.